Niterói (RJ) - The Military Police Shock Troops used morale bombs and tear gas and some police came to take weapons during the confusion to remove protesters from the avenue. 6/19/2013. Fernando Frazão / ABr. Creative Commons. Brazil is struggling to deliver on the newly minted sustainable development goals (SDGs). This is hardly surprising. The country is bogged down by a series of monumental political and economic crises which is distracting politicians and civilians. And while Brazilian diplomats are adamant that the SDGs must be universally binding for all countries, the country has made painfully limited progress in implementing any of the SDGs. The Brazilian government's latest voluntary report suggests that the biggest obstacle to moving forward may not be about resource contraints, bur rather is a lack of will to move forward, especially on sensitive issues of security and justice. To be fair, Brazil takes the global sustainable development agenda seriously. The country hosted the 1992 UN conference on environment and development and a follow-up conference, the Rio +20, in 2012. At a High Level Political Forum in New York earlier this year, Brazil listed off its record over the past twenty years. Brazilian diplomats also underlined the key SDGs they intend to prioritize in the coming years, notably those associated with ending poverty (SDG1), reducing hunger (SDG2), promoting health (SDG3) and gender equity (SDG5), and strengthening innovation and infrastructure (SDG9), marine life (SDG14) and partnerships (SDG17). These are all worthwhile priorities. 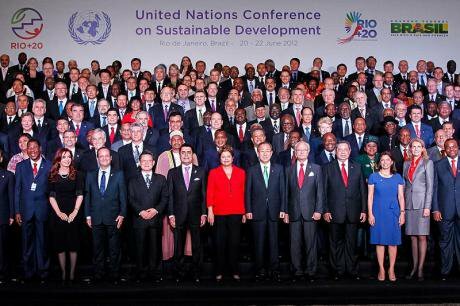 Former President of Brazil Dilma Rousseff poses for the official photo of the United Nations Conference on Sustainable Development (Rio + 20). Rio de Janeiro - RJ, 06/20/2012. Photo / Roberto Stuckert Filho / PR. Creative Commons. The one SDG that makes the Brazilian government especially squeamish is the goal associated with peace and justice. SDG16 calls for significant reductions in all forms of violence, including violent deaths arising from war, crime and terrorism. Signatories to the SDGs are required to end the abuse, trafficking and exploitation of children. Governments are also expected to promote the rule of law abroad and at home, including introducing and enforcing measures to dramatically diminish the number of pre-trial detainees. Also prioritized are participatory decision-making mechanisms to improve the involvement of civil society in public security and access to fundamental rights. What´s not to like? To put it bluntly, Brazil has a complicated relationship with SDG16. Although Brazil champions conflict prevention and peace-building abroad, the country has a miserable record in promoting security and justice at home. Brazil registered almost 60,000 homicides in 2015 - more than any other country on earth. Between 2010-2015, homicidal violence increased by 7.5% in absolute terms. Today, at least 25 of the 50 most murderous cities in the world are in Brazil. And homicidal violence appears to be worsening in the poorest parts of the country - especially the northeast – with young black males making up more than 75% of all victims. Brazil is especially unsafe for children. Roughly 29 children and adolescents are murdered in Brazil every day. At least 56% of the 133,000 human rights complaints registered in 2016 involved violence perpetrated against children and adolescents. The most common forms of abuses included negligence (38%), psychological violence (23%), physical violence (22%) and sexual violence (11%). Meanwhile, a review of all reported rapes in Brazil found that roughly 51% of involved victims under the age of 13, most of them committed by known family members and friends. Brazil registered almost 60,000 homicides in 2015 - more than any other country on earth. Women and girls are also vulnerable to egregious violence in Brazil. Brazil has the fifth highest homicide rate for women in the world, with black females especially vulnerable to lethal attacks. At least four women are sexually exploited every hour, though this is likely an under-estimate given low rates of reporting. As in the case of children, family members are involved as perpetrators in roughly two thirds of all reported cases of violence against women. Studies conducted by the federal police have also identified thousands of high risk areas along the country´s highways. 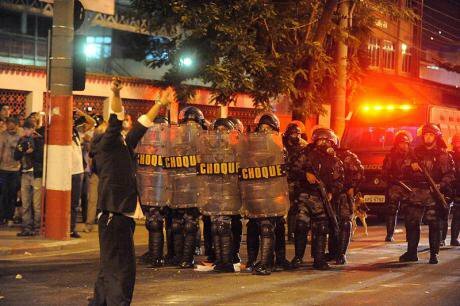 Brazil has made sporadic attempts to jumpstart the national public security agenda in the country. Part of the problem is that the management of police, criminal justice and prisons is a state affair. Municipalities are also largely responsible for the prevention agenda. National politicians thus have little incentive to double down on public security. As a result, three national plans introduced since 2000 have done comparatively little to stem rising levels of criminal violence and soaring prison populations. Today the country has the fourth largest number of people behind bars on the planet. What´s more, a third of all detainees have yet to be tried and another 28% were imprisoned for non-violent crime. Complicating matters, 92% of all murders do not result in a conviction, meaning the costs of committing violent crime are exceedingly low. Brazil also suffers from breath-taking levels of corruption. To their credit, the country´s federal judicial and policing authorities launched Operation Car Wash, a far-reaching investigation of the country´s political and corporate establishment. The investigation has yielded literally thousands of inquiries and the arrest of more than 200 elected officials and businessmen. Unfortunately, the operation is struggling to survive, since many politicians are actively working to dismantle the initiative. While far from perfect, this is one area where the country´s institutions demonstrated considerable resilience, and may offer a model to the world. Roughly 29 children and adolescents are murdered in Brazil every day. Given turbulence at home and abroad, now is the time for Brazil to double down on promoting peace, security and justice. Taken together, the SDGs offer an unprecedented opportunity for Brazil to reset its development agenda. As the 2030 Agenda makes clear, development includes the prevention of violence and strengthening of inclusive and fair police, justice and penal institutions. The timing is also opportune: Brazil´s National Public Security Plan is about to be rolled out. The Plan includes some lip-service to homicide reduction and intelligence-led operations against organized crime, but does not go nearly far enough. The architects of the Plan would do well to integrate provisions of SDG16. While Brazil made some important strides in sustainable development over the past two decades, it also risks moving backward in the years ahead. A much more energetic focus on peace and security is critical. The country´s National Commission on the Sustainable Development Goals kicked off in June this year. And while it includes representatives of government, civil society and the private sector, it still lacks involvement of the Ministry of Justice and the Ministry of Human Rights. This is a striking omission given the critical role of these two entities in promoting public security and safety. At the very least, the Commission should adopt a genuinely comprehensive approach to sustainable development that includes peace, security and justice at its center. This is one commitment Brazil can no longer afford to ignore.